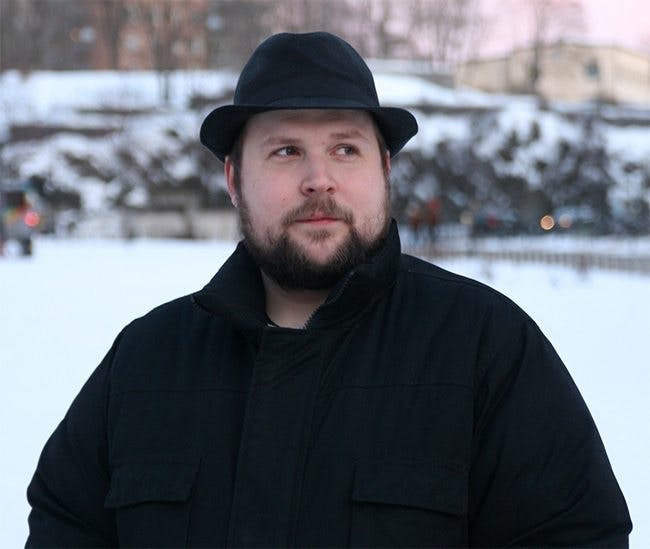 Swedish game designer Markus “Notch” Persson became famous and made a fortune with his game Minecraft. Now it seems he’s having great success on low carb. And with almost 1 million (!) followers on Twitter he could inspire a legion of hackers to change their lifestyle. And so it goes... What begins as a diet turns into a lifestyle. It happened to me. Back in November I discovered this site. I lost 50 pounds in 4 months and I've kept it off ever since. I've found my local source for grass fed beef and lamb. My life no longer revolves around food. Others will discover the reality of this lifestyle and bit by bit the world will change and get healthy. Describing his food as "bland" I wonder what kind of low carb diet he is eating? I hope it's actual food and not low carb "bread" and stuff like that. Yeah Laura, you're probably right as sad as that is. One step at a time I guess. I know that I've interested a couple of folks but most just keep on eating the way that makes them fat and sick. I never cooked much before but now I cook everyday and love it. It's actually really easy for me to cook this way since I never try to recreate foods like bread, etc.. I have noticed that too Laura, but I also have some friends/family, who have varying levels of illness, who won't even look at any evidence I ask them to take a look at. It's very frustrating when they spout off the old nonsense "everyone knows", like it is absolute truth that could never be wrong. Oh well, I will go on eating all my "unhealthy artery clogging foods" and get healthier healthier, but I truly hope I or someone else can get through to them somehow, someday. Cate, I have been the same way with cooking. I really enjoy it now, and it is easy and so delicious! I'm encouraged by the fact that "Wheat Belly" is the #12 best seller on Amazon. @Jhon It's actually #15 and nonsense stavation diet "Eat to Live" is at #8, not to mention the vegan cookbook at #17. Wishing the same to you all...I am off to a paleoboot camp for 5 days somewhere in the English countryside....usually on holidays I used to languish doing nothing, trying to forget work and getting stressed in the process, and eating too much but now I have energy to burn and enthusiams to share so I'll be doing 6 hours of exercise a day imagining I am preparing for the PALEOLYMPICS!!!! Will have lots ot catch up with on this blog when I get back...keep up the good work DOC!! Laura, Wheat Belly IS available from Amazon in UK. Download a kindle copy for instant reading, free software on amazon also if you dont have a Kindle. No need to wait a year, lose the wheat and lose the weight now! Does anyone have a good recipe for this spinach & salmon soup?